The fury and beauty of the ocean. The vitality and violence of the land. The depths of emotion that mortals rarely plumb. These are all aspects of Poseidon: father, king, earth-shaker, savior, rager, securer, plant-nourisher, dasher against rocks, holder of the earth. 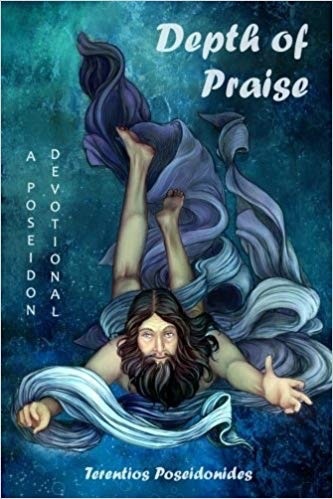 In this volume, Poseidon devotee Terentios Poseidonides shares his experience of this elder Olympian through divinely-inspired hymns and poetry. The pieces, which vary in style from free verse to couplets and with tones that reflect the moods of the ocean itself, are inspired by epithets of Poseidon both modern and ancient. Each entry is suitable for inclusion during rituals tied to Poseidon and as offerings to him. In addition, the author supplements them with his own suggestions about additional offerings and times of year to honor Poseidon, drawing upon his personal gnosis, ancient sources, and the experience of co-religionists.